The first Hess toy truck was released in 1964 and included a fillable tank. 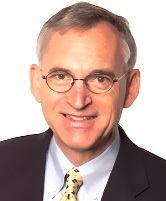 Image from HessToyTruck.com. Over the past week I’ve been collecting nuggets of wisdom to impart to you, dear reader—veritable gems, I tell you. Actually, I’ve discovered that it’s far easier to string together three little stories than to write a regular blog post. What these vignettes have in common is that they are pseudo-profound, humorous (possibly) and have just a touch of irony. Oh, and they are mercifully short. Once upon a time, back when I dressed up more for work, I owned a bunch of suits. Most of them were gray or dark blue, but two of them were green. The khaki one went to Goodwill a long time ago. The olive-green one hangs forlornly in my closet. I bought several pairs of green socks to go specifically with these suits. One pair in particular I wore only with the khaki suit, and so those socks have been out of commission for a long time now. But they are still in my sock drawer, waiting for…what? The other day, I looked at those socks and sternly said to myself, “Either wear those damn socks or throw them away.” So I put them on, and I’m wearing them now. Moral: When pushed hard enough, a man will wear socks that don’t match his pants rather than throw them away. I finally got around to taking down my Christmas decorations. The tree, lights, ornaments, wreathes, angels, a sled, a nativity scene—yeah, they were all still up. Among the things I lovingly and oh so carefully packed (in their original boxes, of course) were my Hess trucks. Which, I might add, Debbie gave me. She gets all the credit for starting this habit. Look, I only have four of them, not every Hess truck since they started releasing them in 1964. 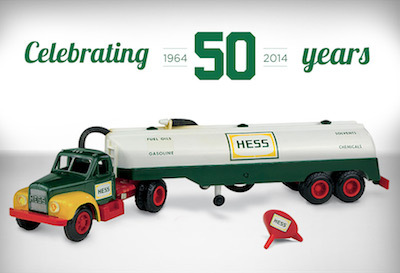 Did you know that 2014 will be the 50th year Hess has been making these limited-edition toy trucks? You can see every one they’ve produced on their website, HessToyTruck.com. It is so cool. The very first one, a Hess tanker trailer, had a cargo tank that could be filled with water and then emptied through an attached delivery hose! Moral: A boy and his toys, no matter what age. Need I say more? I’ve been doing a lot of writing these days. Now, I like writing; in fact, I live for it. And I enjoy the fact that no two writing assignments are the same. But sometimes I have to really buckle down to write. It’s easy to get distracted. I’ll get the urge to eat. I’ll get up and walk around. I’ll make myself a cup of coffee. Or I’ll do something crazy like take out the trash or wash the dishes. I have these peripatetic habits. I start off in my home office. Then I move to the kitchen table. Pretty soon I’m upstairs in the cocoon room. The cocoon room is what I call one of the spare bedrooms. It is probably the warmest room in the house in the wintertime. It gets lots of afternoon sun, and it’s as snug as a bug. I like the feel of it. I like that it’s away from everything else and so contained. It’s like when you were a kid and made a tent out of blankets and hid inside. Moral: Everyone needs a cocoon room to repair to (when deadlines are near). This entry was posted in Happiness and tagged cocooning, Hess truck, letting go, writing. Bookmark the permalink. Jay, I could speak to Hess trucks–I had one once–or cocoon (room)–for me it is the spare bedroom, now an office, where I normally watch the grass grow, but at the moment watching snow melt. No, I am not going to touch the third rail of your blog, yes, the green shocks. Well, all I have to say is that you are far ahead of me: I just have pile of dark socks that I rummage through, sometimes even matching a pair…when I have a job interview.